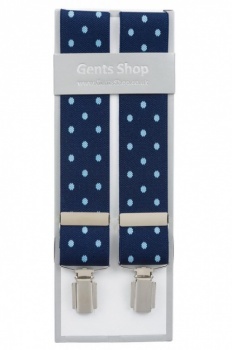 A popular pick, our polka dot braces are the perfect choice for adding just the right pinch of personality and a dapper dash of panache to your suit while keeping your trousers properly in place! 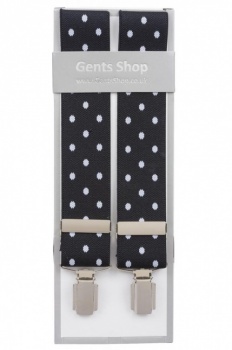 Peruse our full range of polka dot suspenders below. From large to small polka dot braces and from neutral, classic, colours to more vibrant statement shades, there’s no style of polka dot you won’t spot here at Gents Shop! 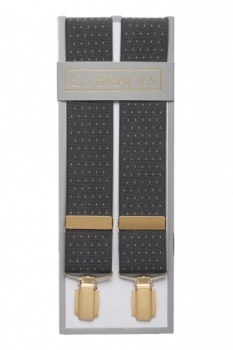 We’ve even got a choice of braces with gold clips or silver clips. 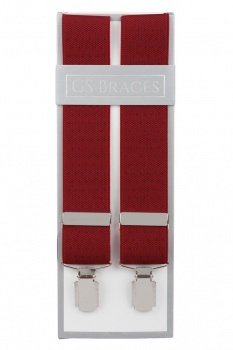 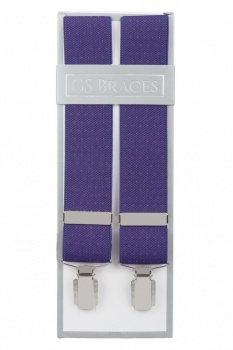 All of our men's trouser braces are made in the UK and are designed using the highest quality materials. 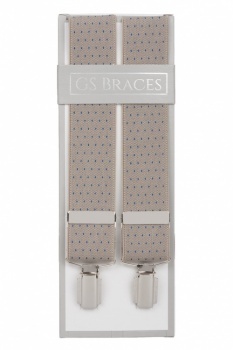 With strong, stretchy elastic and slide-adjusting clips, you’ll discover all of our braces are fully adjustable to ensure that perfect, comfortable fit. 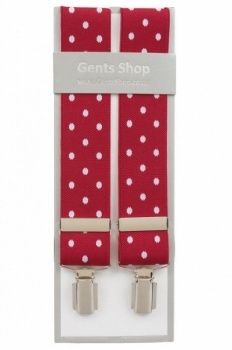 We also offer extra long polka dot braces in all colours and designs, designed for any gents requiring a larger size. All are available in standard to XXL sizes. 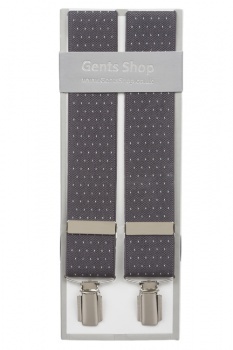 Polish off that suit with a pair of stylish polka dot braces. A preferable choice among many modern gents, a pair of braces with polka dots is a staple in any man’s wardrobe! Perfect for any wedding, dinner dance, birthday, or business bash, donning a pair of polka dot suspenders is the ideal way to add some smart, classic pizazz to your dress suit for a look that’s sure to get you spotted! We’ve got black braces with subtle red polka dots, red braces with large white polka dots, blue braces with light blue polka dots, just to name but a few. 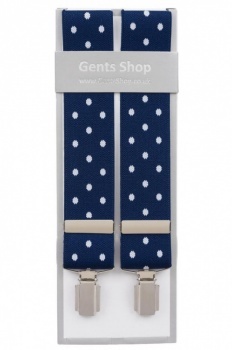 With so many sensational polka dot braces to choose from, you’re sure to spot the perfect matching polka dot pick for that suit. All of our polka dot men's braces are presented in an acetate presentation box, which also means they make a wonderful gift idea for any modern gent who deserves a little stylish polka-dot treat!